The spring and summer months are some of our favorites here at Four Roses. We have so many exciting things to look forward to, and we can’t wait to share them with you, our Mellow Moments Club members. With May comes the Kentucky Derby, Mother’s Day and Memorial Day. 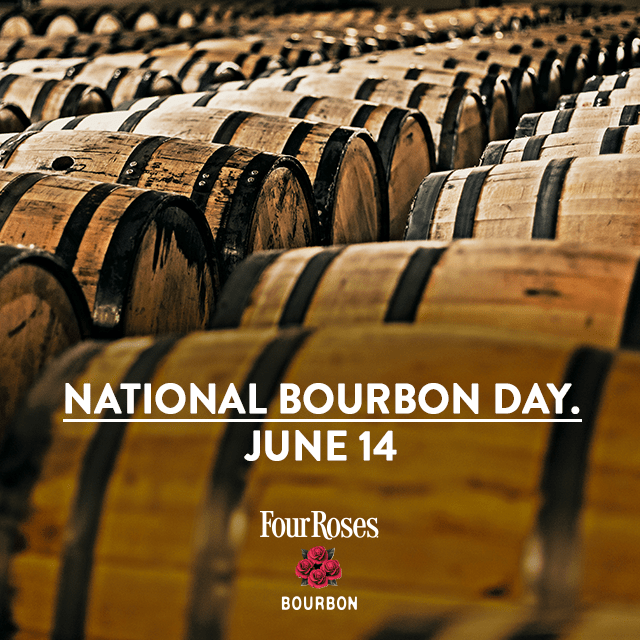 We can’t forget about Father’s Day in June, but perhaps the most exciting ‘holiday’ to us, is National Bourbon Day on June 14. National Bourbon Day was created to celebrate the spirit we enjoy the most. Make sure you Like us on Facebook, and follow us on Twitter and Instagram as we get closer to June 14 for recipes, photos, and more information about how you can celebrate with us. Until we talk next, cheers.